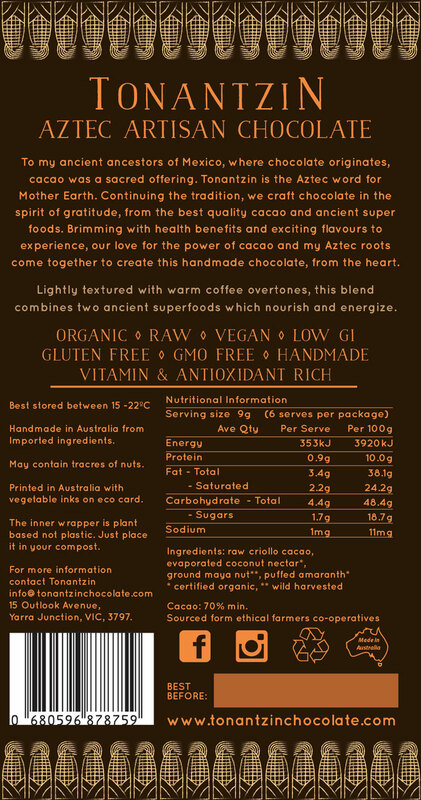 Lightly textured with warm coffee overtones, this blend combines two ancient super foods which nourish and energise. 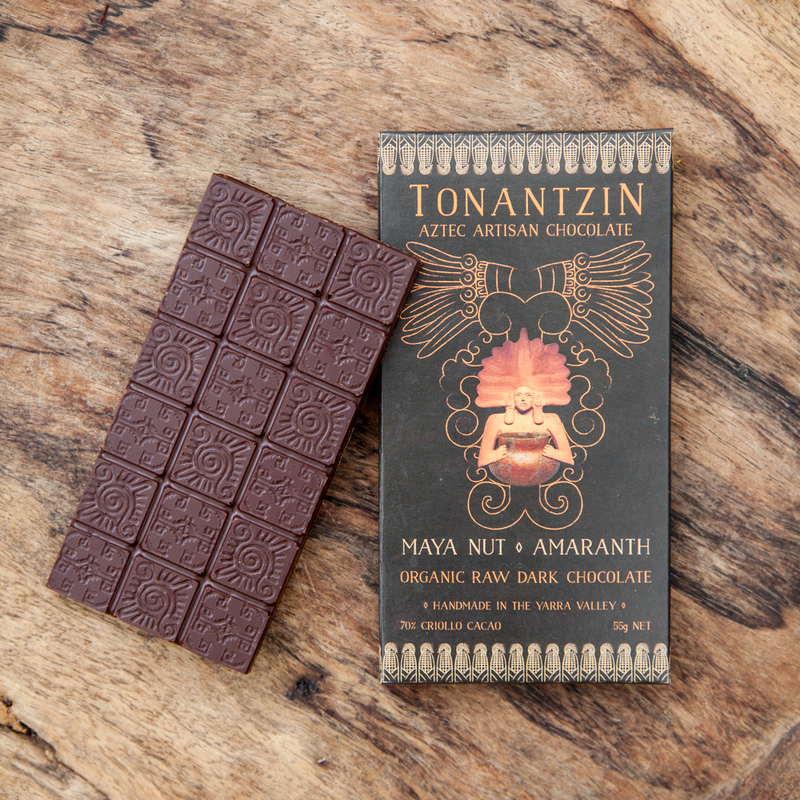 Ingredients: Raw Criollo cacao*, coconut nectar*, cacao butter*, ground maya nut**, puffed amaranth*. 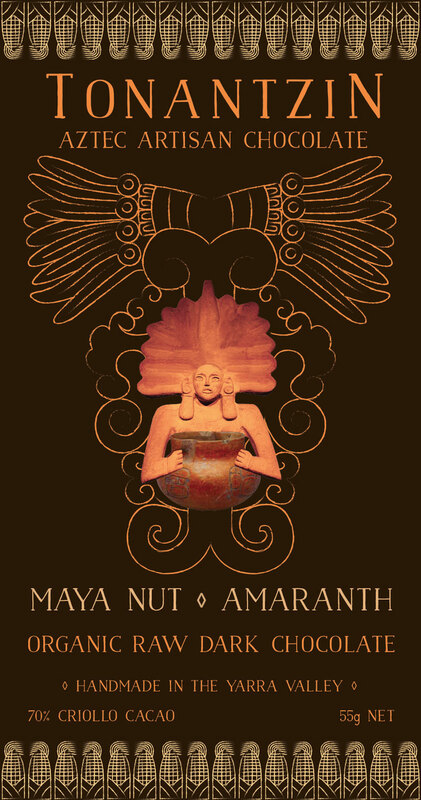 Amaranth was a key part of the Aztec diet, and was also used as part of their ceremonies. Often seen as a grain. Amaranth is actually a seed and it is gluten free. It contains lysine which is missing in most grains, making it a complete protein because it contains all the essential amino acids. Amaranth is a great source of key vitamins and minerals: calcium, magnesium, potassium, phosphorus and iron. Maya Nut is not a true nut. It is the seed of a huge rainforest tree in the fig family that grows in Latin America and the Caribbean. It is nutritious and delicious with a unique chocolate-coffee flavour. It is high in protein, calcium, magnesium, potassium, antioxidants, fibre and it is very high in tryptophan, helping to reduce stress levels.